After spending countless hours drooling over photos online of Norway’s famous hikes, it was time to see these sites in person. I decided in September that I would travel to Oslo, the capital of Norway. There are countless hiking options throughout the entire country, but three of them in particular were mentioned in a variety of places online: Preikelstolen, Kjerag, and Trolltunga. If you spend any time on social media, chances are you’ve probably seen at least one photo of these hikes. They looked epic, and I wanted to do them all. Unfortunately, because I flew into Oslo, I was not close to any of them. Fair warning: Oslo is very expensive. All of Norway is expensive, but I found Oslo to be the costliest Scandinavian country. The reason for this is due to the government setup and how it funds its citizens. Every new experience comes with a cost of its own, and part of this whole experience is the ability to live amongst others exactly as they live. Basically, the cost is absolutely worth it. Oslo has a natural staggering beauty that I found myself immersed in immediately upon arrival. The environment is breathtaking. The colors were like something I’ve only seen in my dreams. Two days in Oslo will be all the time you need to see the touristy things. I recommend that after you’ve gotten your touristy spirit out of you, head north or west of Norway to hike. In an effort to see as much of the countryside as possible, that’s just exactly where I headed from Oslo. While in Oslo, I stayed at THE THIEF Hotel. It’s the only 5-star hotel in Norway. Like all of Norway up to this point, THE THIEF was beautiful and had the most impeccable service. The staff made me feel as though I were their only guest for the entire evening. They were eager to help at every instance, and I had not a need unmet. I truly cannot brag about them or their hospitable demeanor enough. THE THIEF comes with more amenities than just a great staff that you can still take advantage of, even if they’re out of your budget for lodging. 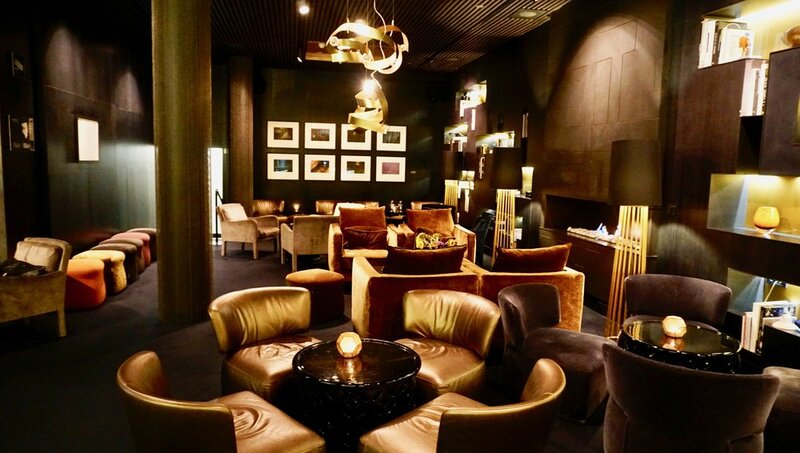 The hotel features a wonderful rooftop bar, a hip and trendy downstairs bar, a lovely restaurant, and a stunning spa. You will thank me for the advice I am about to give you. Even if you won’t be spending the entire evening there, stop in and visit for a few drinks at the bar. The Thief bar features unique and Instaworthy signature cocktails. The bartender showed me each one, and I got some epic footage of him making them. The Thief rooftop bar has expansive views overlooking Oslofjord. Their menu features summer foods with grilled meats and seafood. Because it’s outside, the rooftop is only open seasonally from April to late autumn. The spa inside The Thief, as mentioned, is so beautiful. Hands down, it is one of my favorite spas in Europe. You will truly feel like royalty if you visit. They will pamper you in ways you had no idea you could be pampered. Do not miss out on the spa, even if just enjoy the facility alone. My room in THE THIEF was spacious, and the bed was super comfy. I loved it. It’s so worth the splurge! There is also authentic artwork in the hotel, which I thought was so cool. It’s very luxurious. The amount of detail in the décor, the restaurant menus, the cocktails, and whole atmosphere is impressive. I want to give a special shout out to Dominic, who works at THE THIEF. He was so lovely and helpful. Dominic really went above and beyond to make my stay a memorable one. Location is everything, and this hotel really delivered in that category as well. It’s located right on the water. The sites are an easy walk into town. I walked as far as The Vigeland Sculpture Park, which is a must-see for art lovers or non-art lovers alike. It is the world’s largest sculpture park created by one single artist. In my opinion, it is the number one attraction in Oslo. The famous naked baby statue is in this park. You must get a photo with that statue! There are also many other lovely large pieces of art. The park is relaxing. If the weather is nice, it’s a great place for a picnic. Another great photo site is The Royal Palace. I also recommend The Norwegian Museum of Cultural History. The grounds at the museum are a very cool spot for photos. The building is dark and very unique looking for a museum. Gol Stave Church isn’t a super popular attraction, but I thought it was really cool architecturally. There are so many museums in Oslo to choose from. I only went to the National Museum of Art to see one of my favorite art pieces “Scream” by Edvard Munch. He has an entire museum dedicated solely to his work. I was told The Scream does move from museum to museum, so if you have your heart set on seeing that particular painting, I would double check which one it’s at. When I went, it was in The National Museum, along with a few other of his popular pieces you may recognize. Another cool neighborhood you should check out in Oslo is “Grunerlokka.” It’s known as “Lokka” by the locals. It’s the Shoreditch or Sodermalm type vibe. It’s artsy, hipster, and full of cool restaurants and bars. It’s also filled with cool wall art and graffiti. Lokka is up and coming and full of young people. It’s a great area to go for a night out and is easily reachable by tram or Uber. Trams operate on the premise of good faith. You should definitely purchase a ticket for the tram as the staff occasionally do ticket checks, and it’s a hefty price if you get caught without one. Vippa for the countless food trucks offering a large variety of options. This is a large space on the port that I would recommend. Change your money. Norway has its own currency, The Norwegian Krone. Before arriving, just know you are going to spend a lot on food. Just enjoy it and embrace it. English is spoken widely and Norwegians are lovely people. And, I must say, very attractive. Hehe! Huge Thanks to The Thief Hotel Oslo and to Visit Oslo for making my stay so pleasurable! Off to Stavanger to Hike! As I stated above, I could not just go to Norway without doing at least one hike. It was important to me that I see another city with a little more nature and a little more of that Norwegian charm and authenticity. So I made the tough choice to head to Stavanger. There were multiple other places I wanted to go: Bergen, Trolltunga, Lofoten, and Sognefjord. Trust me. I will go back one day and spend a whole month -- or two -- exploring this stunning country. You must choose one place in the above list to visit. Stavanger just fit because I really wanted to do the Preikelstolen hike, and it had an airport with cheap flights from Oslo. It ended up being the easiest, most affordable with a hike I knew I would be fit enough to do. I was dying to do Trolltunga also, but it was a little more of a mission to get there. That one requires driving, and the hike roundtrip is about 12-13 hours. I was too scared to do that one alone. Especially that time of year. Preikelstolen was an amazing alternative. It was only about 3-4 hours roundtrip. That also depends how long you stay at the top. The views at the top are truly unbelievable. I was in heaven up there. I wanted to stay all day. It does get very windy up there once you reach the top, and it gets a little chilly. So be prepared. The photos I brought home with me from that hike were epic. When I stood at the top and looked over the edge, I felt so small. It made me realize just how tiny I am in this giant world. A feeling of peace and gratitude overtook me up there. It was a magical experience, and so far the most beautiful hike I’ve ever done. A few tips for the hike: take plenty of water with you, wear proper hiking shoes or running shoes, dress warm -- even on warm days as the top gets cooler. Plus, you can always take off what you don’t wear -- take snacks, as well. Pack yourself a lunch while you’re at it. There are some beautiful spots along the way to sit and have a picnic. I want to return to Stavanger so badly. Stavanger was such a cute city with some really cute restaurants around the marina. When the cruise ships come in, it gets very busy in Stavanger but once they leave it’s peaceful and lovely. Even seeing the cruise ships come in is a pretty cool site. They’re huge! You don’t truly grasp how gigantic they are until you see one that close up. Call me a dork, but I was in awe just watching them come in and depart. They’re massive in real life. Also, getting to Preikelstolen from Stavanger, you must take the ferry over. The ride is about 30 mins and a really cool experience, too. It was a fascinating site to see all the cars drive up into the ferry. But, again, I’ve never been on a big ferry before. After you arrive by ferry, you need to drive or taxi to the hike. There are also buses, but they are not for the faint of heart. They go around curves on the mountain, so if you don’t like heights, get a cab. A cab will cost you more, though. Believe it or not, you could also hitchhike. Norway is a very safe place. It’s entirely up to you, though. Just do not miss out on one of the three hikes I mentioned, or going to one of the cities above. You just don’t get the same experience if you just stay in Oslo. Oslo is gorgeous. Of course. But like any country, I always say see the capital and then get out and explore! Huge Thanks to Visit Oslo for their help planning my trip,The Thief, and to my awesome couch surfing host in Stavanger Orjan.